In this section we present our collection of letter boxes, updated to 2008. Later additions will be added as time allows. So you can explore most of the collection in cyberspace. This section is frequently updated as new items are added, restored or replaced so check back regularly! 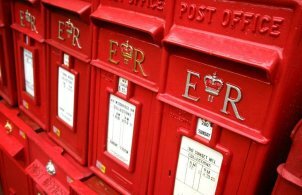 * Victoria acceded to the throne in 1837, but no post boxes were produced until 1852.
his coronation could take place. He was superseded by his brother Albert who took the title George VI.